The Cautious Patient Foundation is committed to educating and empowering patients or their families in their quest for quality health care. With its hands-on, physician-based advice and technology-based tools, the Cautious Patient Foundation is working to ensure that people are engaged and proactive in managing their health and healthcare providers. The Foundation's goal is to inform people of quality problems and pitfalls in the healthcare system, to teach patients how to find the information they need, and to coach them to interact with the system effectively to ensure quality treatment. 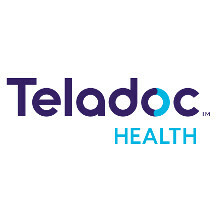 Teladoc Health is the global virtual care leader, offering the only comprehensive virtual care solution spanning telehealth, expert medical, and licensed platform services. Through our award-winning consumer experience brands – Advance Medical, Best Doctors, BetterHelp, HealthiestYou, and Teladoc – we help millions of people around the world resolve their healthcare needs with confidence. Teladoc Health serves more than 10,000 clients including the world’s leading insurers, employers, hospitals and health systems. Together, we are continually modernizing the healthcare experience and making high-quality healthcare a reality for more people and organizations around the world. Follow Teladoc Health on Twitter @TeladocHealth. Founding Members made a donation of $1,000 or more to the Society to Improve Diagnosis in Medicine (SIDM) with the goal of helping promote its mission and vision.